VOTED BEST EMERGENCY ROOFING SERVICES - Beneficial Roofing | VOTED BEST Roofing Company, Call Us Today & See Why! Think of the kind of damage that it could cause your house in the way of soaking the structures, even getting down to your floor, and causing further harm to your property if not fixed immediately. With an emergency roofing, such kinds of disasters can be easily averted by taking the broken sections of the roof fixed promptly. This is the reason why Beneficial Roofing offers emergency roofing services that will repair any part of your roof which is gaping and in a state of poor condition. 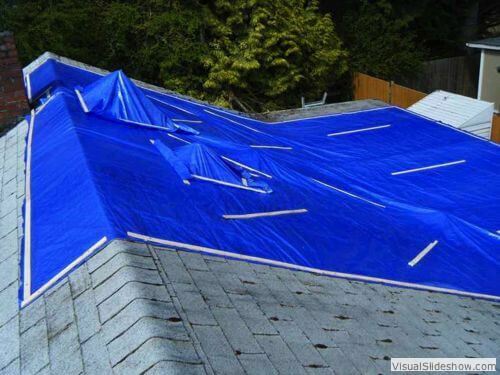 The leaks are efficiently and properly sealed using a high quality blue tarp. Our roofing services are always rendered in a timely and professional manner to avoid further inconveniences for you and your family. We also handle all our calls in a calm and relaxed way to ensure that we have a full grasp of the situation that is at hand, getting you a team of proficient roofing specialists to have a fix on the issue in the shortest amount of time possible. Being one of the best, dependable and committed emergency repair service providers, it does not matter what time of day or night you are in need of our services. We always rush to your aid in a matter of minutes and get the issue fixed to the best of our ability. Our experience over the years has taught us that the best kind of service we can ever render to our customers is giving them services with minimal fuss, very few questions and remarkable results that they will be sure to rely upon. So, anytime you get an uncomfortable feeling in your gut about the status of your roof with an impending rain, do not hesitate to give us a call or get in contact with us. We are always on hand to provide you with quick roof repair services that will leave you with a safer, more comfortable house! As such, you can be able to hold out until the rain lets up without risking damage to the belonging that is in your home or any other parts of the infrastructure. Whenever you are in need of emergency roof repair services, always feel free to get in touch with us. Our team at Beneficial Roofing will be there!